Registering the Integrated SOA Gateway included in the Oracle E-Business Suite R12.2.x instances is actually reasonably simple, but the documents make it sound much worse than it really is, simply by being several hundred pages of documentation. The reason to do this is to expose the RESTful services interface for EBS so that other web applications can do useful things, such as check usernames for validity, lookup business process (workflow) statuses, and even query for completion of processes, such as concurrent programs. The built-in library of accessable Services is quite vast and enables lots of interconnectivity with other applications. This is also useful if you happen to be extending the application using the Mobile Application Framework, which allows you to build custom applications for mobile devices that access all the various EBS functionalities. Unlock the ASADMIN (FND_USER) account and set the password so that it can login without a change password challenge (no expiry. required. Your base port is the one in your usual EBS URL and the WLS console URL can be determined via Oracle Application Manager in the Site Map link for Weblogic Administration. Services will be interrupted by bounce twice (2X) during installation. Installation takes about 45 minutes to complete. [exec] Successfully connected to Admin Server ‘AdminServer’ that belongs to domain ‘EBS_domain_[ORACLE_SID]’. [exec] Admin port should be used instead. [exec] AutoConfig will consider the custom templates if present. # Change default NAME=APPS connection to NAME=ASADMIN in WLS Admin Console. Login to WLS Administration Console. Repeat the SOA Integration steps again. 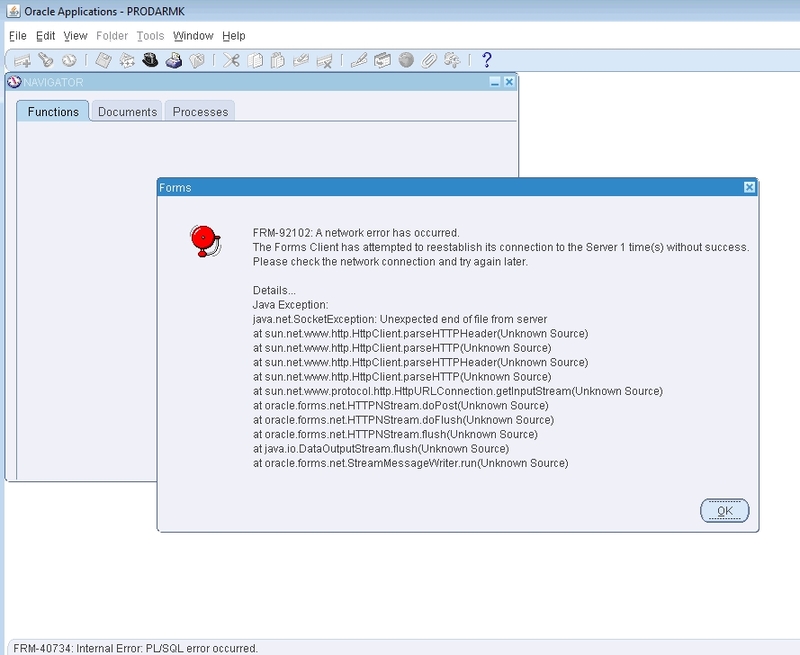 java.lang.SecurityException: User: ASADMIN~~[ORACLE_SID], failed to be authenticated. Oracle Application Management Suite now delivers several capabilities to monitor and manage Oracle E-Business Suite environments on Oracle Cloud and on-premises. These capabilities are delivered through the Enterprise Manager command line interface (EMCLI) for greater flexibility. In this release, we have integrated five different RUEI regions within the Oracle E-Business Suite Summary page. Customers can personalize and activate one or all RUEI regions. These RUEI regions are specific to a given Oracle E-Business Suite instance and customers can view the data and drill down for detailed information. Host aliasing is now automated and will attempt to match the host name in the Oracle E-Business Suite context file and the discovered host name in Oracle Enterprise Manager. If this attempt fails, you will be prompted to perform the mapping manually. Customization Manager and Patch Manager features now support host aliasing. During the prior release of Application Management Suite, you had the ability to view patch recommendations for E-Business Suite applications and the technology stack. In this release, you now have the ability to deploy Database and WebLogic server patches using Enterprise Manager patch plans. Customization Discovery & Reporting process now includes discovery of database objects. You now have the ability to save the cloning interview process as templates that can be used for future purposes for Smart Clone for R12, 12.2.x procedure. The Applications Management Suite plug-in for Oracle Enterprise Manager simplifies discovery of the myriad of subtargets that make up an Oracle E-Business Suite instance. Correspondingly, the number of alerts sent out can rise dramatically because of the inter-relationships between the components. The number of downed targets increases if a subcomponent of a primary component (such as a single JVM thread under the OACore process) experiences an outage. This is a simple walk-through of navigating one of the e-mail alerts to start figuring out what happened. Incident created by rule (Name = Incident management rule set for all targets, Incident creation rule for a Target Down availability status [System generated rule]). To investigate an event alert, click on the Associated Incident ID (e.g. the 390885 which on your system will be a URL taking you into OEM) which will take you to the associated Incident Summary page. From the screen, it shows the red mark on PRODARMK-Infrastructure PRODARMK_ascopofinm01-APPL_TOP Context (Oracle E-Business Suite Node). Click on that link in the list of Targets. If this is a recurring issue, by sliding the timeline back and forth (and adjusting the period view to a larger sample) you can see if there are any associated time-related occurrences that can be used to identify root cause. Since we are on Single-Sign On (SSO) you might be freezing instead just after the Forms Login screen. Once the DB was restarted, it ended up with an incorrect UTL_FILE_DIR parameter and was unable to write the session flag files to the expected temporary directory (usually APPLPTMP). After the UTL_FILE_DIR setting was corrected, and the database re-started, Forms Launching worked correctly again. 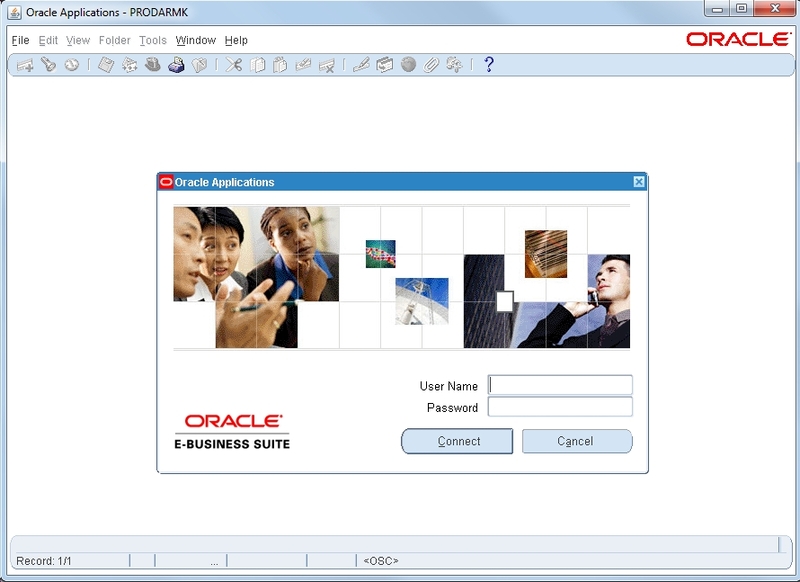 Verify APPS password and FND_ORACLE_USERID encryption. SROAUG Conference Call for Papers is Open!.